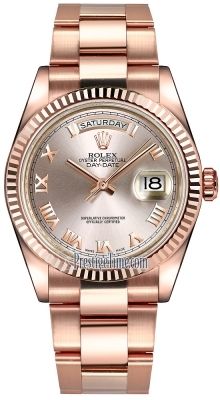 Polished 18kt Everose Gold case. Polished 18kt Everose Gold "Twinlock" crown featuring two sealed zones when the crown is screwed down: the first inside the tube of the crown, the second inside the winding crown itself. 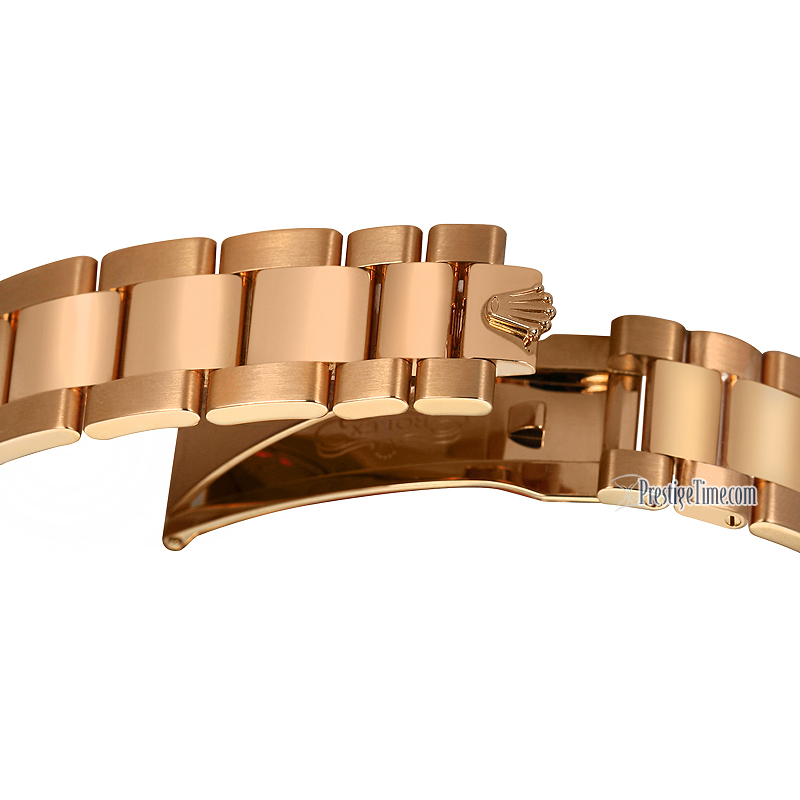 Polished 18kt Everose Gold fluted bezel. 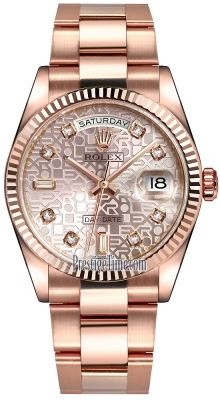 Pink "JUBILEE" dial, featuring the ROLEX name repeatedly embossed on the dial. 8 round & 2 baguette shaped diamond hour markers. 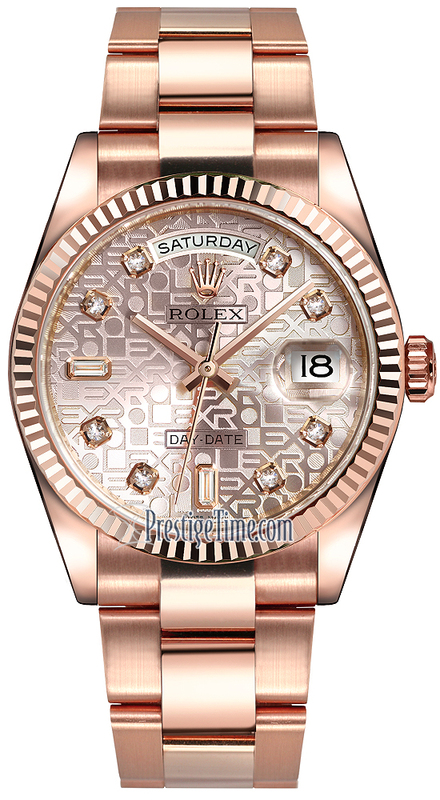 Polished Everose Gold hands, hour & minute hand with thin black line in the center. Day of the week window displayed at the 12 o'clock position. Instant & simultaneous day & date change at midnight. 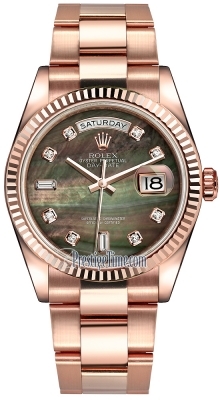 Rolex in-house calibre 3155, beats at 28,800 vph, contains 31 Jewels & has an approximate power reserve of 48.